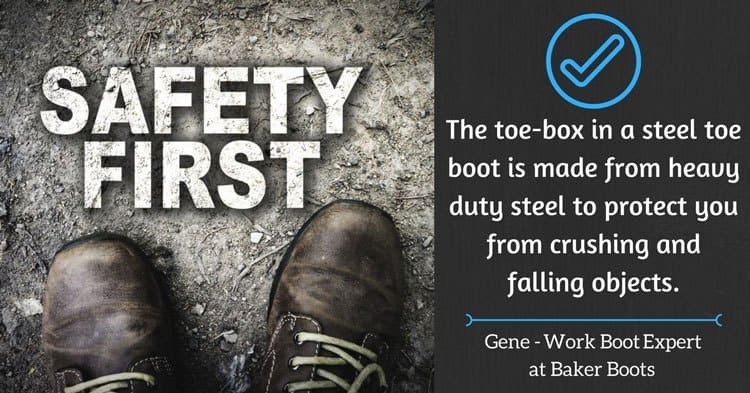 Steel toe boots used to be the safety champion, but the development of better alloys is making buyers think twice. Alloy toe boots can be very safe and much lighter, too. When I started swinging a hammer (long time ago), steel toe boots were the only game in town if you needed protection from work site hazards. I once had a wheelbarrow full of slag fall over on my big toe and that simple steel insert saved me from an ambulance ride to the hospital and probably much more than that. I’m going to give you solid pros and cons for both, but I will say right now that your job itself is probably the most important thing to consider. More on that later. These have been number one on the market for decades. When I started in the trades, your only option was steel or nothing. In fact, I remember trying to save a few bucks on that very first pair. The foreman on our job knew I was just getting started, so he let me keep them as long as I promised to never skip the steel toe again. So, steel toe boots are all I’ve ever used. And I’m around so much heavy equipment on a daily basis that I’d feel almost barefoot without them. But that leads me to the one big con that you’ll discover if you buy steel toe boots. Steel is HEAVY. I have has some boots where this became really tiring, and if the steel isn’t placed properly, the cage can even rub blisters on your feet. In my experience, the cheaper the boot, the more irritating the steel toe is. Also, if you do electrical work, understand that steel does conduct electricity. You’ll want to look at your options in alloy toe boots if that’s your specialty. Boot manufacturers have been closely following the development of alloys for years. 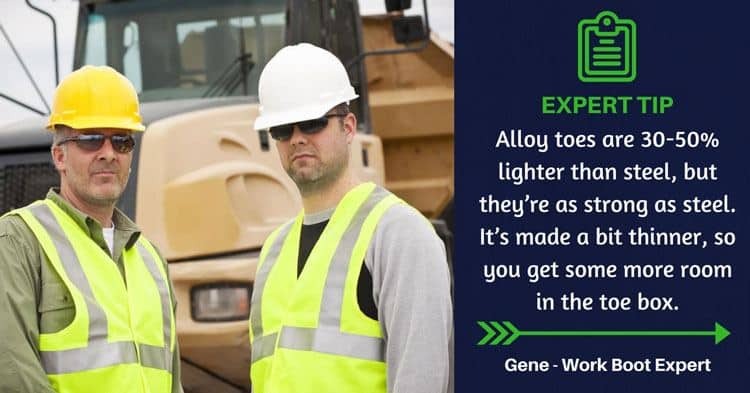 Essentially, alloys just blend together several materials to come up with a composite that excels in different applications. Some of the boot manufacturers say that alloy toe boots are every bit as sturdy and safe as a steel toe boot. I’m sure they have lab data to back up the claim, too. But I’ve seen a composite split into pieces by falling concrete and there’s just no convincing me (yet) that we’ve reached the point where the steel toe boot is a dinosaur. Let me give you an example. My good friend Darwin works the lumber department at our local Lowe’s Home Improvement Superstore. Darwin has done work site construction before but he likes the job at Lowe’s and finds alloy toe boots are much better for that environment. As I said before, they’re lighter and generally more comfortable to wear. He’s not exposed to much more than something maybe falling off a shelf, so it’s safe enough for him to use composite toe boots. I’m sure his feet feel much better after his sift ends than they would if he was still wearing a steel toe. 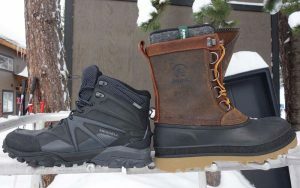 Which Type of Boot Should I Buy? For me, the absolute most important consideration is how heavy the equipment is that you work around. If it’s pretty significant, like commercial construction sites, I just can’t ever believe that I’d feel safe without a true steel toe boot. Safety really does come first. But I can think of plenty of trades and floor jobs that alloy toe boots would excel in. Warehouse/big box workers (Lowe’s, Autozone, Walmart), electricians and plumbers… you’ll be plenty happy with this combination of lighter-weight material and good safety. Start by evaluating the workplace danger. 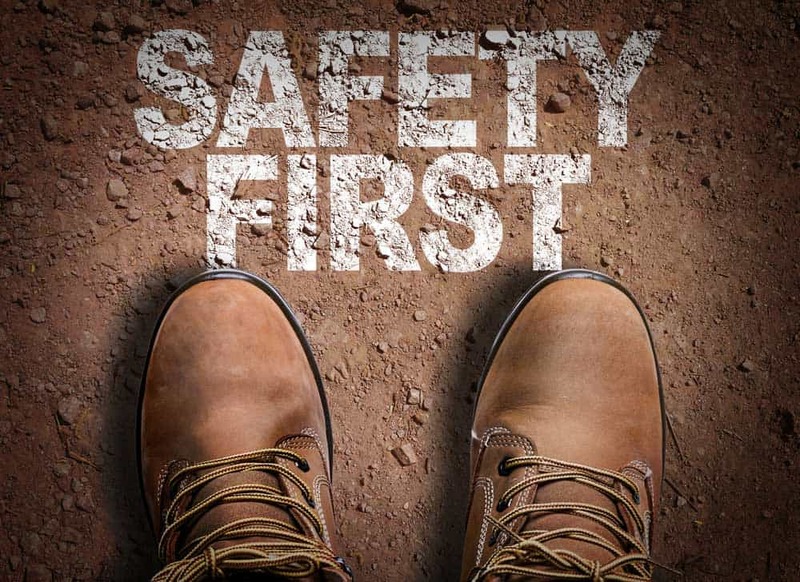 If it’s super high, buy a high quality steel toe boot for full peace of mind. But go with an alloy toe if sharp nails aren’t left everywhere and if nothing that might fall has a crushing weight. Of course, composites are forever improving. That means there’s a real chance that we’ll soon have options that are both lightweight and as strong as steel. That would be amazing. 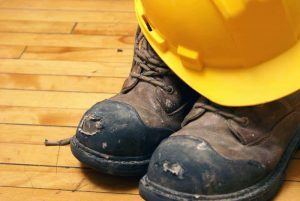 Steel Toe vs. Composite Toe: What’re the Key Differences?